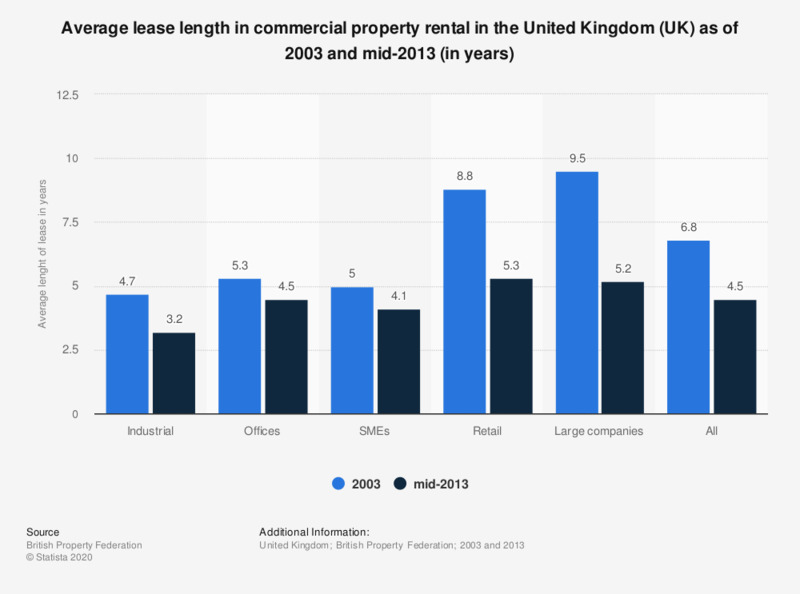 This statistic shows the average lease length for the commercial real estate rental market in the United Kingdom (UK) in comparison for 2003 and mid-2013. In 2013, the lease length for all commercial property was 4.5 years on average. SMEs and large companies data are presented for years 2003 and 2011.